The word KIAI is comprised of the two Japanese Kanji letters - Ki (気) and Ai (合). 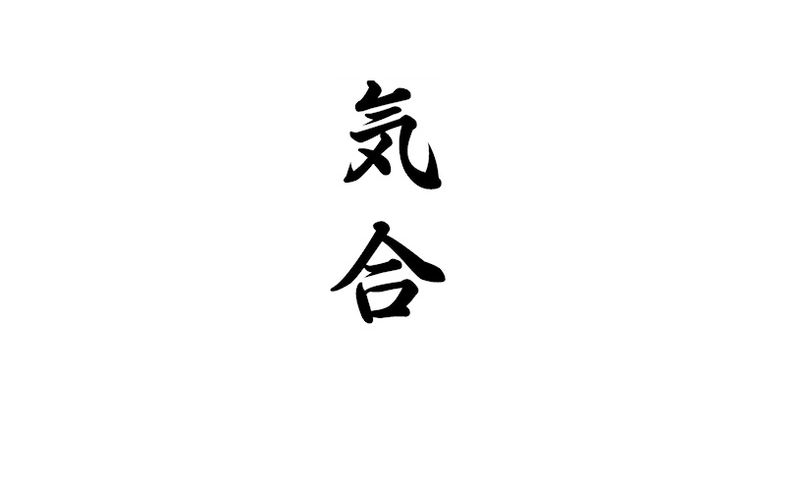 Ki (気) - is a symbol of spirit, mind, energy, force. Ai (合) - is a contraction of the verb 'Awasu' which literally means 'to unite'. Evidently the word KIAI means 'Spirit United'. Kiai is the art of developing fighting spirit, almost of self-hypnosis, by extreme mental concentration. In order to perform one's attacking or blocking techniques properly, it is necessary to develop perfect concentration of spirit and strength. If one can concentrate the whole strength in his/her abdomen and maintain perfect balance then one can achieve the art of aggression and knocking your opponent down with one blow. I personally believe that this is exactly related to the ancient budo concept “Ikken Hissatsu 拳必殺” or “Ichi geki hisatsu”. It means “One strike, certain death”. By collecting your whole body strength, strike the opponent's vulnerable point with proper timing by using the proper seichusen (centreline) and with proper "Kime". Martial artists from the east believed that a Kiai was a method of focusing their Ki (In chinese “Qi”) during sudden bursts of energy. It is thought by some that the second character of 'ai' is used as nothing more than a vocal expression to channel that energy from the individual. Breathing - when faced with danger as the adrenaline rips through your blood vessels, it's common that we forget to breathe, or fail to breathe sufficiently to cope with the sudden increase in our heart rate and quick depletion of oxygen through its passage into our muscle fibres. Kiai can actually remind the body to breathe. Added power - if the Kiai is executed properly, the muscles around the stomach are tightened and it has been said by ancient asian physiologists that this allows energy to be transferred from the abdomen to the peripheries of the body including the elbows, knees, hands and feet. Distraction - as mentioned, the sudden yell can distract the opponent, startle him or even cause him to make fault on his own techniques. A trained fighter can instantly take advantage of this gap in the opponent’s concentration to defeat him. You can utilize the gap by incorporate with “Sente” (Timing) procedures. Let’s take a look at the opinion here of the legendary Wado master “Hanshi Tatsuo Suzuki’s view about KIAI. When warding off the opponent’s kiai you must also put your strength in the abdomen in order to keep up your courage. When the opportunity to attack comes, you must use your kiai in attacking – i.e. put your strength in your abdomen, concentrate your whole effort on the punch or kick. The sounds made in 'Kiai with yelling' are “ei”, “oh”, “ya”, etc. “Ei” is the easiest to yell. The object of yelling is to weaken the opponent's attack or to put him off his guard, and so one must yell properly in each given situation. It is important to practice yelling without restraint and at the top of your voice, preferably in a deserted place! Finally I want to finish up this topic with a story. It is said there was once a student of karate who improved his yelling after hearing a lion roaring in the zoo!